Deborah Dickson-Smith tries her luck with koala sights in Queensland. The Great Green Way stretches from Townsville to Cairns in Queensland’s Tropical North, an area I’ve usually flown over in the past without thought. Townsville, our starting point, turns out to be one of the most surprising destinations I’ve been to. Although, I suppose as I knew very little about it I was bound to be surprised one way or another. First impressions upon landing: it’s hot, brownish in colour and judging by the amount of khaki bags on the baggage carousel, there’s an army here. I’m wondering where the Great Green Way might start. Apart from “hot” none of these features are ones I look for in a holiday destination so it’s lucky I know a local to share the local secrets with me. After a quick lunch overlooking the water we hop on a short ferry ride to Magnetic Island. Magnetic Island is traditional stopping point on the backpacker route up the East Coast and famous for it’s Full Moon Parties. So begins the Green bit. Magnetic Island has a healthy population of koalas – they were in fact introduced to the island in the 1930s and conditions are so perfect for them they have thrived. A short stroll along one of the island’s many bush walks and you’re pretty much guaranteed a sighting. 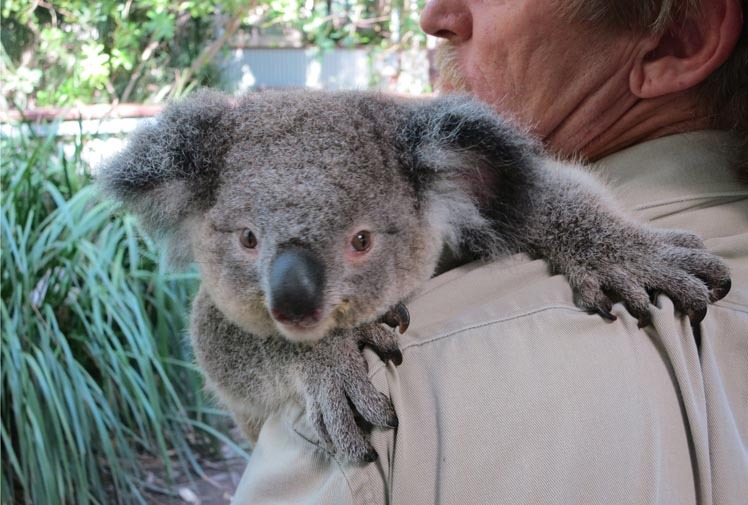 If you want to get a bit closer, visit Bungalow Bay Koala Village where you can get up close and personal with a few of the locals, of furry, feathered or scaly kind. One of the best way to get up close and personal with the island’s marine life is to hop in a kayak. The water is smooth as a pond and crystal clear. Magnetic Island Sea Kayak centre do a sunset tour of Horseshoe Bay which comes complete with dolphins, turtles and a bottle of champers to quaff while watching the sunset – highly recommended. Back on the mainland we visit Townsville’s aquarium and marine life sanctuary, Reef HQ. The turtle hospital here rehabilitates around 10 turtles a month – all victims of plastic pollution. Before heading for the hinterland we stop for lunch at one of Townsville’s best kept secrets – The Sweatshop. A café with a conscious that serves up delicious gourmet jaffles and won’t charge you extra for soy milk. 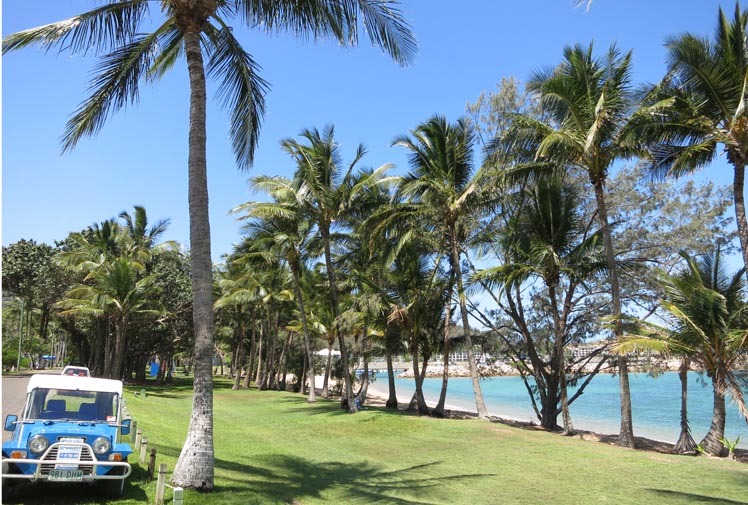 The hinterland offers a whole different type of “Green” to that of Magnetic Island. Lush rainforest (accompanied somewhat traditionally by rain) and a windy cliff-hugging road take us to Hidden Valley Cabins – a little oasis of loveliness. Hidden Valley Cabins are Australia’s first carbon neutral resort operates completely on solar power. But it’s eco-ness runs deeper than that. 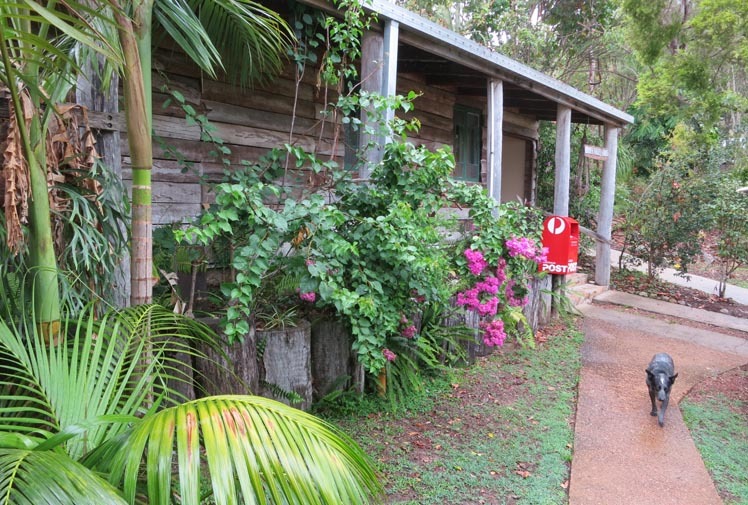 The family-run resort is located by a creek in a beautiful rainforest setting and much of it built from recycled materials including discarded railway sleepers. Our wildlife experience here is very special as we creep along the banks of a nearby creek in search of platypus – perhaps the strangest creature known to man. By the time I’m ready to leave I’ve forgotten I ever thought this place looked brown. Definitely green.